India’s Central Bank Governor and a former chief economist for the International Monetary Fund, Raghuram Rajan has expressed optimism on India’s growth rate going beyond the 5 per cent mark soon. “The economy has been growing at a flat rate of 5 per cent and hopefully we will see it picking up in the near future,” he said on the sidelines of a special talk at Oxford University on Monday. 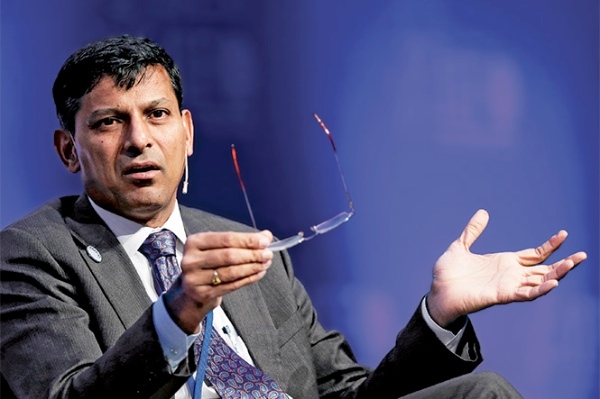 Earlier last month, Rajan hit out at the unconventional monetary policy of developed countries which he said was creating spillover effects in emerging markets, a crisis he described as “not a healthy place”. “Industrial countries are going to do what they have to do; emerging markets have to adjust. I think we need language which is more even-handed. It’s not that emerging markets have infinite ability to adjust and so we should keep that in mind going forward,” he argued. Prof. Radhika Desai argues that “a serious fault-line is appearing in the rarefied world of central bankers”. “All the public focus on monetary policy, its unconventionality and its innovations, has served two quite other functions: to perpetuate the heavily finance- (rather the production)-dominated US economic structure and to continue the neoliberal policy regime that created it,” she warns. India is now the world’s third-largest economy, moving ahead of Japan, latest figures by the World Bank revealed. Should just tell the Fed, you print as much as you want we are moving away from the dollar and moving into the BRICS cable system and Eurasia Trade Zone that won’t be denominated in USD. You can take your stinking dollar and do whatever the hell you want with it. No don’t tell them that. Just do it quietly like China/Russia is. Washington is now run by neo-nazi’s and criminals. As they say you can’t do good business with a bad person.